Kudos To Senator Matt Schmit! State Senator Matt Schmit has been recognized as ‘Legislator of Distinction’ by the League of Minnesota Cities! The senator has received this recognition 3 years in a row. 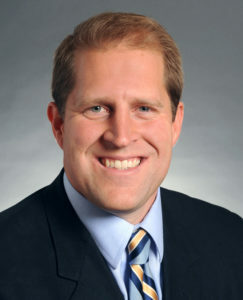 State Senator Matt Schmit has been recognized for the third year in a row as a “Legislator of Distinction” by the League of Minnesota Cities for his commitment to furthering city-friendly legislation and his work promoting the expansion of broadband Internet connectivity to areas of rural Minnesota that currently lack access to such essential services. Schmit is one of just three Senators to receive the award in both 2015 and 2016, and one of only two Senators to receive the award three years in a row. His commitment to understanding and improving our state’s broadband connectivity challenges has enabled him to create a roadmap for successful deployment, called the Border-to-Border Broadband grant. MVTV Wireless is honored to be one of the 2015 recipients of this matching grant and all the opportunities it has presented! Working closely with a growing coalition of advocates and supporters, Sen. Schmit introduced and championed legislation calling for a “Border-to-Border Broadband” matching grant fund to promote investment in new broadband infrastructure across the state. The first two years of grants distributed through the fund will have connected over 10,000 homes, 1,500 businesses, and 100 community anchor institutions — such as libraries, schools, and hospitals — with high-speed Internet connectivity. In 2016, the legislature appropriated an additional $35 million in matching state grant funding for the effort, which targets investment to Minnesota’s hardest-to-serve areas.